It started with financial asset bubble burst in Japan with the Collapse of banking system, followed by Technology bubble burst then with recent and most devastating real estate bubble burst. I believe oil rally is yet another bubble in the making, which would burst and would impact several economies severely. Oil's meteoric rise to near $120 a barrel looks like more than just another economic bubble - growing demand and tighter supplies are likely to keep prices high. Some analysts say even $200 a barrel would not be out of the question. The latest price surge - pushing crude to record heights in recent weeks, and to nearly double its level a year ago - has some key components of a classic bubble, when market prices climb far above their intrinsic value. The burst comes when investors realise the assets are overvalued. But growing worldwide thirst for crude, in large part from the rapidly developing economies of China and India, means frustrated consumers probably won't get any relief. "We can do our homework, but prices are going to go where they want to go at this point," said Jeff Spittel, an analyst at investment bank Natixis Bleichroeder. 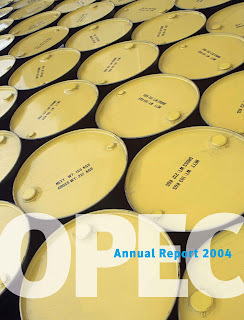 Oil came close to $120 a barrel on 25th April 2008, on news that a ship under contract to the US Defence Department fired warning shots at two boats in the Gulf that may have been Iranian. The markets were also weighing the effects of a pipeline attack in Nigeria and a looming refinery strike in Scotland. Retail gas prices, which at times rise in tandem with crude oil, moved further into record territory near $3.60 a gallon. The Organisation of Petroleum Exporting Countries - which supplies about 40 per cent of the world's crude - insists it's supplying more than enough oil. Instead, many observers blame speculative traders for bidding up the price as a hedge against inflation and as protection from the sinking dollar. Some see that as evidence of a bubble. It's also becoming harder and more expensive for oil companies to find and tap new petroleum reserves - a troublesome scenario given forecasts that the world's energy needs will escalate by more than 50 per cent in the next two decades. Toss in the weak dollar and political instability in some oil-producing countries, and it seems unlikely that oil will fall below $100 a barrel anytime soon, if ever. Widely watched oil price prognosticator Goldman Sachs has said oil could average $110 a barrel by 2010, up from a previous forecast of $80, and that a spike as high as $200 a barrel is possible in case of a major supply disruption.